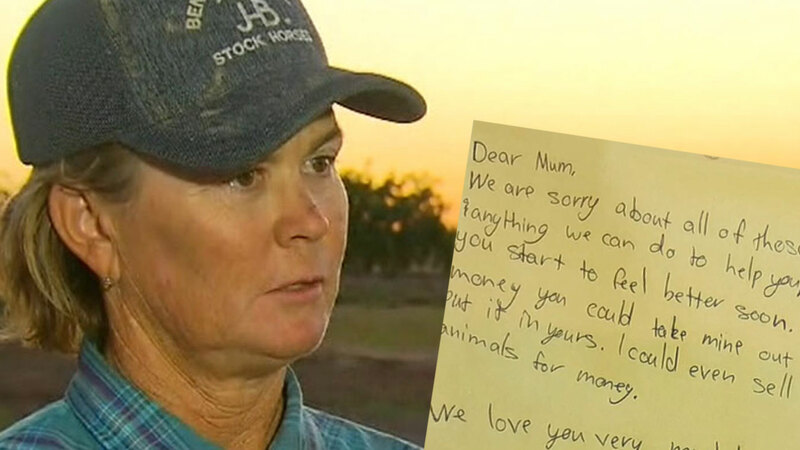 Across the fence lines and out on the bone-dry land of drought-ravaged northern Queensland lays the gut-wrenching truth confronting farmers – the bodies of dead and barely alive cattle. For the past seven years farmers in the region have battled one of the worst droughts in Australian history - a big dry so intense it has seen 100 percent stock losses for some and loss of income for almost years for others. “It’s a bit unexplainable to be honest,” Julia Creek resident Jess Bridges told Today. If the searing heat wasn’t enough, the catastrophic flooding that hit Townsville last week has washed away livestock and livelihoods. More than 800 rural properties, an area spanning 13 million hectares between Townsville and Winton - are now in flood. To put this in context, the area is twice the size of Tasmania. “We’ve got cattle at home still dying from pneumonia now. It’s just never-ending,” Ms Bridges said. Jaye Hall, a fellow Julia Creek resident and farmer, said the drought and floods is “the worst tragedy I’ve ever had”. “You know you see it in the paper, you see it in the papers but when you see it for real it really hits home,” Mrs Hall told Today. Yet among the daily despair facing the Halls comes a shimmer of light in the form of a touching letter. The note was written by Mrs Hall’s two children Madison and Wyatt. “Dear mum, we are sorry about all of these cattle. If there is anything we can do to help you, let us know. We have you start to feel better soon,” the letter read. Mrs Hall said the letter still gives her goose bumps. “That was a bit of a shining light in the whole darkness really,” she said. The financial hit to farmers in the state&apos;s north-west and the industry more broadly may not be known for weeks but it&apos;s expected to top $300 million. Insurers had received 13,560 claims from Townsville, with losses estimated at $165 million. The federal government will provide an immediate non-gratia payment of $1 million to each of the affected shires, Prime Minister Scott Morrison told the national press club in Canberra yesterday.